A War Begins on The Good Wife! Whose Side Are You On? How many of you are big fans of THE GOOD WIFE??? "The Good Wife" began its fifth season Sunday, Sept. 29, 2013 on the CBS Television Network. The season continues with a bang with the “Hitting The Fan” episode! Are you ready to choose sides?? 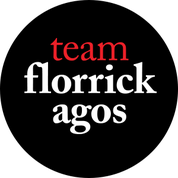 Are you on Team Lockhart/Gardner or Team Florick/Agos? 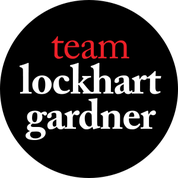 During the "Hitting the Fan" episode on Sunday, Oct. 27 (9:00-10:00 PM, ET/PT) on the CBS Television Network, Alicia and Cary’s plans to depart Lockhart/Gardner are suddenly exposed and a desperate battle to retain clients ensues. Remember to tune into the "The Good Wife" on the CBS Television Network and watch each week on Sundays (9:00-10:00 PM, ET/PT). And check out The Good Wife on Facebook.